On the evening of May 12th, the oldest woman in the world, Susannah Mushatt Jones died at the age of 116. After a long full life, she eventually died in her sleep due to an illness that had bothered her for a few days. Due to her long lifetime, Jones is credited for living through three centuries filled with some of the most exciting events in history. Her life and experiences are an inspiration to other seniors and Rhode Island live-in home care agencies. Jones was born to Callie and Mary Mushatt, two sharecroppers from Alabama, on July 6th, 1899. Her grandparents were slaves who had been freed after the Civil War and one of her grandmothers reportedly lived until the ripe age of 117. In addition to her excellent genetic heritage, Jones attributed her long life to never smoking tobacco or drinking alcohol, sleeping at least ten hours a night, and eating bacon, eggs, and grits for breakfast each morning. After growing up on a farm, Jones was determined to go to college and become a teacher and she was accepted into the prestigious teaching program at Tuskegee Institute. However, her family could not pay tuition, so Jones ended up moving to New York to become a private governess. She experienced the Harlem Renaissance, both World Wars, and the invention of the airplane, Internet, television, and gas powered vehicles. Jones was only married for a few years before divorcing her husband and she had no children. However, she had a large and loving family including over 100 nieces and nephews. With her limited salary, Jones started The Calhoun Club, a scholarship fund for her nieces, nephews, and any other African American students who sought higher education. One of those nieces became a doctor, Dr. Lavilla Watson, who was with her aunt when she died. Jones may have passed on, but her legacy is remembered fondly by her loving family, friends, and Rhode Island in-home care providers who are inspired by this extraordinary woman. Longevity is something we all aspire to achieve, but it can be difficult to accomplish alone. 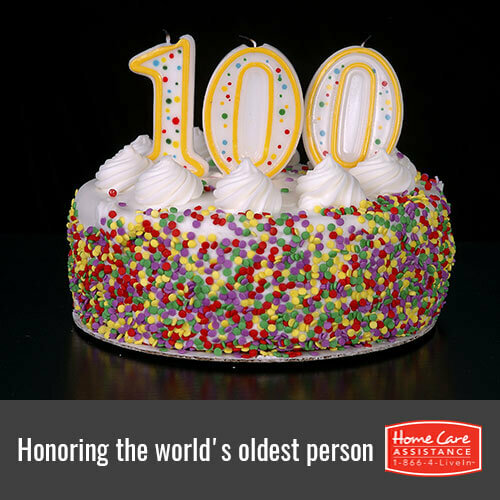 Call Home Care Assistance of Rhode Island today at (401) 284-0979 to learn how we can help your senior loved one achieve the golden years he or she deserves in the comfort of home. In addition to promoting longevity, our expertly trained caregivers boost emotional and physical wellbeing by encouraging healthy diet, physical exercise, socialization, and more. Schedule a no-obligation consultation to give your loved one the opportunity to age in place with dignity.